July is a month in which we celebrate friendship and community service. 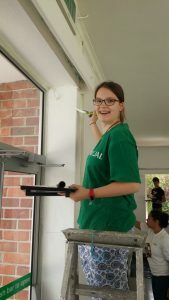 It is also the month in which I will return to my native country Germany after a year of volunteering in South Africa. A year away from home? At first I was a little bit scared and I wasn’t sure what to expect. But now, after nearly 12 months, I´m convinced that this was one of the best experiences I’ve ever had! 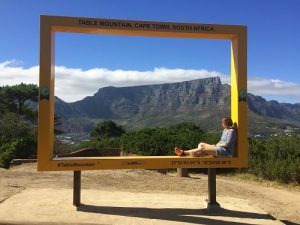 When I arrived in Cape Town everything was new. I needed a few weeks to settle in and to orientate myself. Cape Town is totally different than my little town in Germany. To get to the office I needed to take public transport and I experienced a lot of interesting situations such as the fact that in South Africa the trains drive on the left side. So the first day I had to take the train I missed it because I was standing on the wrong side! 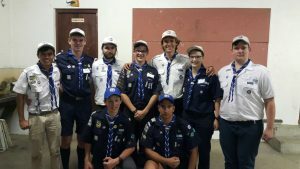 I wanted to join a Scout Group so I was introduced to the Two Oceans District Commissioner Gavin Withers who was able to place me with the 0nd Bergvliet Sea Scout Troop. 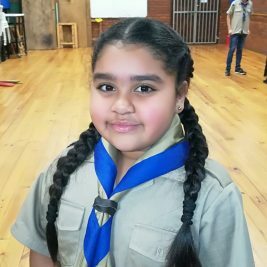 I did the permit phase stage 1 and the adult first aid courses and slowly got to understand what Scouting in South Africa is all about. In October I joined some of the “Paint the Lion purple” events. The first time I climbed up Lions Head, SA Chief Scout Sibusiso Vilane joined us. I really loved that experience! 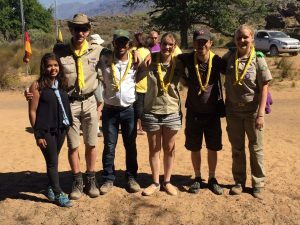 In December, I had the privilege of joining the bistro team at the Cederberg Senior Scout Adventure 2016. Everyone was talking about the event and it seemed to be so special. Baking waffles, making sandwiches and burgers, swimming in the river after a very hot day in the kitchen and all the Scouts coming through HQ. It was great! The only scary memory I will keep with me is when a big veld fire started and we all were evacuated and the event was closed off early. I spent the festive season and the beginning of 2017 exploring the wonderful scenery in South Africa and Mozambique. Early in the year I changed Scout Groups to get a new experience, I became a Scouter with 1st Bergvliet Sea Scouts. 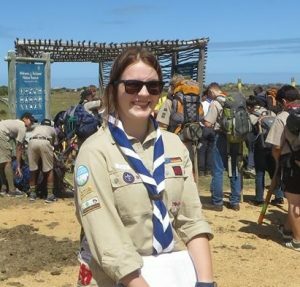 In March I took part in a few Western Cape Scouting competitions like the senior hiking competition ‘Rayner’ and the raft construction Competition Cape Kontiki. I had a lot of fun! 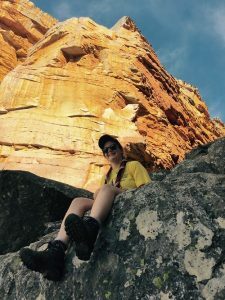 In April I volunteered at the Patrol Leader Training Unit (PLTU) camp at the Hawequas campsite. I think this is an experience I could not have gotten anywhere else. I saw how the young participants and the Scouting staff learnt from the event and saw activities which I definitely will take home to Germany. It is a unique course and I think very valuable. A big thank you to the Western Cape Region for making this experience possible! When it comes to food I must say Capetonian food is funny. For the first time in my life I have seen and eaten banana on pizza. The first time I was happy to try but after this I would always take it off. These are two things which I feel should never go together. I also tried a Gatsby – I really enjoyed it even though I was really sick afterwards. Another thing with regards to food is that I realized how many people here think chicken isn´t meat. Chicken gets eaten like vegetables! Now you would think that a year is a long time away from home. Surely it is and honestly, I was homesick. But thanks to my host families it wasn’t too bad. I had a place to come home to after work, where I was part of a family. I had Christmas in summer and lived with 9 people and a lot of pets! I would like to thank Family Goemans and Family Hyslop, for giving me a second home in Cape Town. Furthermore, I would not have had the same experience without my Scout Groups 1st Bergvliet Sea Scouts and 2nd Bergvliet Sea Scouts. I saw how different Scouting can be at the other end of the world. There are some similarities but a lot of differences. In the beginning, I was totally confused about everything. But now, after all this time, it is normal that the Scouts fall in, break the flag and pray in the beginning of a meeting. Thank you for teaching me all these small things. I can remember the first meeting where we did knotting. I was asked if I can tie this specific knot. I just answered “If you tell me the German name, I´m sure I can.” Now all these problems are gone. I kind of know how a meeting runs and what you as a Scouter must do. I would also like to thank the Cubs from 2nd Rondebosch Scout Group who made my Wednesday evenings special. The meetings always were a lot of fun and I hope all of them learnt a bit about the world last term. Maybe we lit a small spark in you and you will travel the world like me. Moreover, I want to thank all my colleagues in the national office. We had a lot of German sweeties, they taught me how to knit and every time when I came back from leave they were happy to see me again and listen to all my stories. Finally, I want to thank from the bottom of my heart all the people I met here in South Africa. Some of you I got to know closer, some of you I only met a few times. But you all made it special for me. You showed me Cape Town, Knysna and Pretoria. Without you I wouldn’t have had this amazing time. We laughed, explored and learnt a lot from each other. Better do not ask me what I´m going to do back in Germany. I only know that I will start studying something from Geography to Medicine. I must still decide. But whatever I will study, I have decided one thing, I will be coming back to Cape Town someday. I will miss all the wonderful people and the beautiful nature. Tell us what you think so we can work together!